Go Goa Gone which starred Saif Ali Khan, his brother in law Kunal Kemmu, Vir Das and Anand Tiwari in lead roles will now have a sequel. 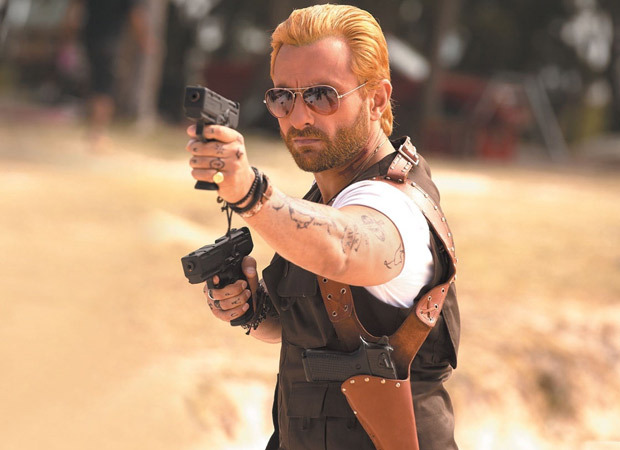 The film will be titled Go Goa Gone 2: Babaji Ki Booty and this time around Saif will have a heated combat with ALIENS! The film will be set in Manali. Guess that is why the title makes sense, doesn’t it? Apart from the original cast, the film will have two more new characters and the team will start shooting for the movie by the mid 2019. Go Goa Gone was a total mad cap comedy caper which had the plot of zombie apocalypse. It was unlike any other film which was ever made in Bollywood and people appreciated it. The makers Raj Nidimoru and Krishna DK now feel confident enough to come up with its sequel. Saif too has branded himself as an actor who goes in for versatile roles instead of getting trapped in a particular image. Though he is a mainstream actor, he makes sure that he offers something new and exciting everytime he comes on screen. He was currently appreciated for Sacred Games where he plays a flawed but honest cop Sartaj Singh. He plays a Naga soldier in Hunter. His Pirates of Caribbean inspired look broke the internet! As far as Raj and DK are considered, they are riding high on the success of Stree starring Shraddha Kapoor and Rajkummar Rao. It’s strong content and awesome word of mouth is helping the film to get a great first weekend at the box office.